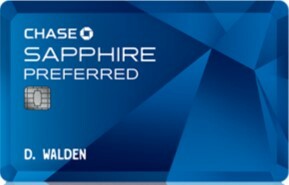 One thing I’ve mentioned quite often on this blog is that on the first Friday of each month, the Chase Sapphire Preferred card earns an extra Ultimate Reward (UR) point per dollar spent on dining; that’s 3 points per dollar instead of the usual two. When this feature was introduced in 2014, I thought it was a great boost – and then I realized that an extra 10-20 points per month wasn’t all that big a deal. Especially since during three months of the year the Chase Freedom card I earned 5 URs per dollar on EVERY dining purchase. Still, it was nice when Chase extended the program into 2015, noting on their website that this was a limited time offer. Now comes word via both The Points Guy and One Mile At A Time that the program will not be continued into 2016. While it’s never great to lose a card benefit, as far as these things go this is a pretty mild one in my book. But if you want to stock up on your URs, you can always buy gift cards at a restaurant on the first Fridays for the rest of the year and use them on other days. What was that I said yesterday about things changing? Yep, here we go again.